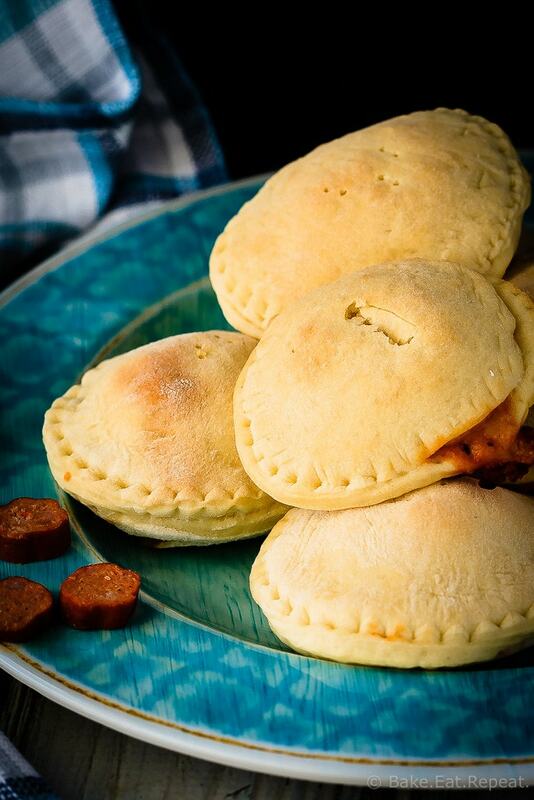 Homemade pizza pockets are easy to make and taste great. They’re a perfect ready made snack or lunch that you can keep in the freezer! I grew up when pizza pockets were a big thing. They came out and suddenly that was the best snack ever. Pizza you could make in the microwave in a matter of minutes. I’m not gonna lie. If you offered me a pizza pocket right now, I’d probably say yes. They’re good. But my poor, deprived children have never had one. They’re still around I’m sure – although I only know this because my husband used to buy them occasionally before we had kids and I actually cooked. I’ve never bought them though. I had kids and decided that everything needed to be made from scratch in our house. Okay not everything, I’m not superwoman, I just wish I was. It’d be nice if that always happened – obviously it doesn’t. I do like to try and make as many things from scratch as I can though. I like to make a big batch and then toss them in the freezer after baking. They freeze well and make it super easy to make the kids lunches, even when I’ve neglected to go shopping and have nothing for sandwiches. My kids (and husband!) 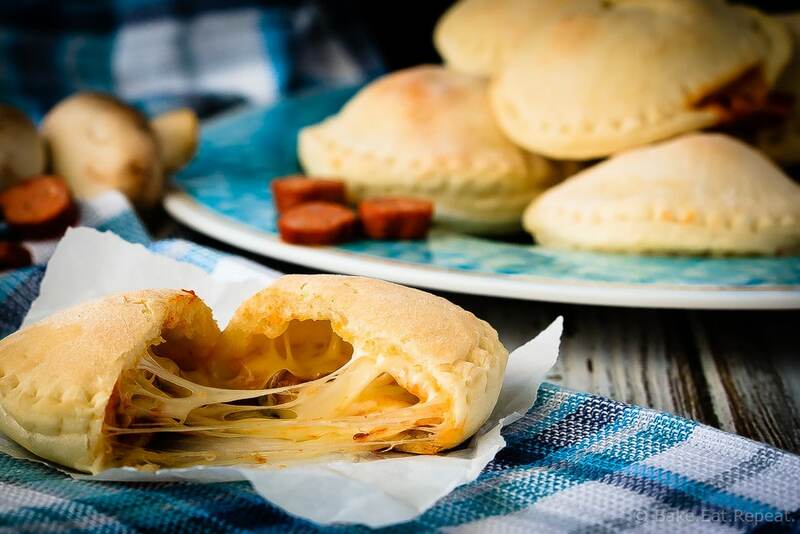 love these homemade pizza pockets for lunch. Plus they’re good both cold and reheated. 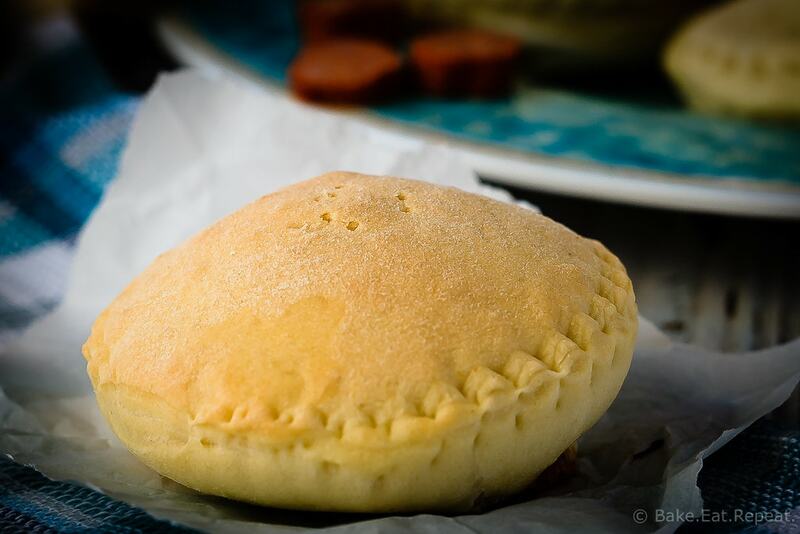 I’ve also shared this Homemade Pizza Pockets Recipe over on Food Fanatic. Oh these pizza pockets look SO good, Stacey! We have something called pizza rolls here in the US, they're mini and don't look nearly as good as these (especially since you just pop them in the microwave). i haven't had them in years, and I'm glad, because your homemade version sounds so much better. What a perfect lunch or dinner! You guys don't have pizza pockets? I had no idea that was a Canadian thing! Thanks Gayle!